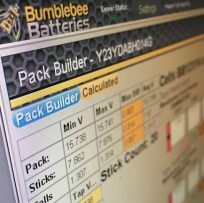 If you’re in the Portland, Oregon area and require hybrid battery repair services, Bumblebee Batteries can help. We provide first-class professional hybrid battery reconditioning services, which can highlight issues with failed batteries and offer high-quality maintenance for hybrids. We can offer a number of battery reconditioning services for Honda and Toyota hybrid vehicles. The Maintenance Single Grid Charge can be used to maintain batteries that have shown no sign of problems to check the condition of the battery or if your battery has already failed. We recommend that the Single Grid Charge takes place every three to six months as part of basic maintenance. The process takes between 12-24 hours and can prolong the life of your battery. Our Maintenance Basic service includes a charge, a discharge and a balance charge. We use our specialized equipment for this process. It is ideal for those who have already benefitted from a Single Grid Charge. The Full Pack Reconditioning service represents excellent value for money. The process involves your battery being cycled three times. We again use our specialized equipment and offer before and after graphs so you can see the difference the service has made. It comes with a pro-rated warranty. You may also be interested in our Comprehensive Reconditioning and Analysis service. This stick-by-stick procedure involves us disassembling your battery, with each sub-pack module being tested individually. We provide individual sub-pack graphs and details. This service involves the most thorough reconditioning possible and allows you to see the true status of your pack. The process can take up to 4 weeks but has been of great benefit to many hybrid drivers. You can get in touch with us today on 888-968-5005 or use our contact form. We can also help if you need to invest in a completely new battery superior in quality to your original cell. Talk to us or visit www.bumblebeebatteries.com today if you need to find out more about hybrid battery repair.